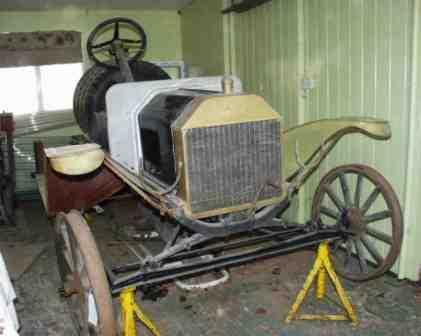 I recently received an offer of Model T Ford photo's of the collection belonging to Mike Palfreyman in the UK. 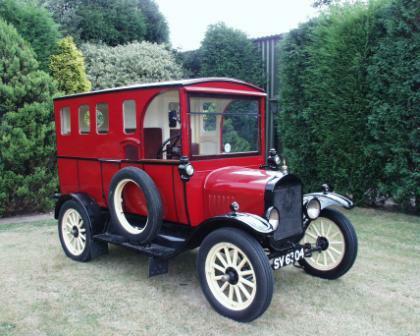 Mike's collection once totalled 15 Model T Fords, but has now been reduced to only 5! 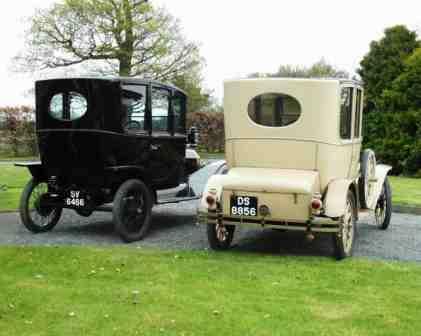 In Mike's words: "They are 1913 Tourer, 1914 Centre Door, 1915 Centre Door, 1926 Van that I made into an Estate Car (Station Wagon) and a 1915 Chassis." Here are some of the photo's he sent in. 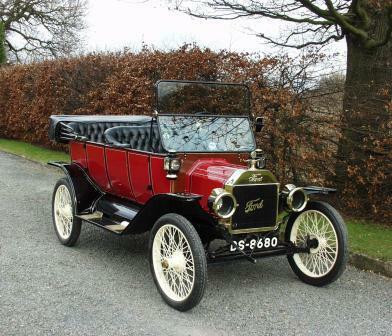 This Manchester built vehicle was originally registered UT1134 - that was unfortunately 'lost' during the document transfer to me when I bought it about fifteen years ago"
"This 1913 Tourer chassis number is certainly below the million mark and I was able to provide suitable information to enable the British Veteran Car Club to appropriately date the cars." 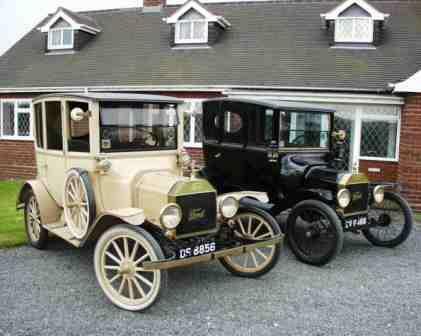 "All three of these cars had a Ruxstell axle and a water pump. The black centre-door had a distributor conversion and an electric fuel pump (God knows why). As you can see from the photos, the black centre-door and the Tourer had buffalo wire wheels. I did make up a set of conventional wooden spoked wheels for the black centre door for the new owner. 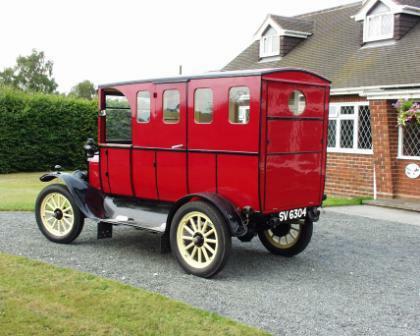 I swapped the buff coloured centre door and the Tourer for a Napier from Adelaide, Australia with the those two cars now in Hertfordshire, England."